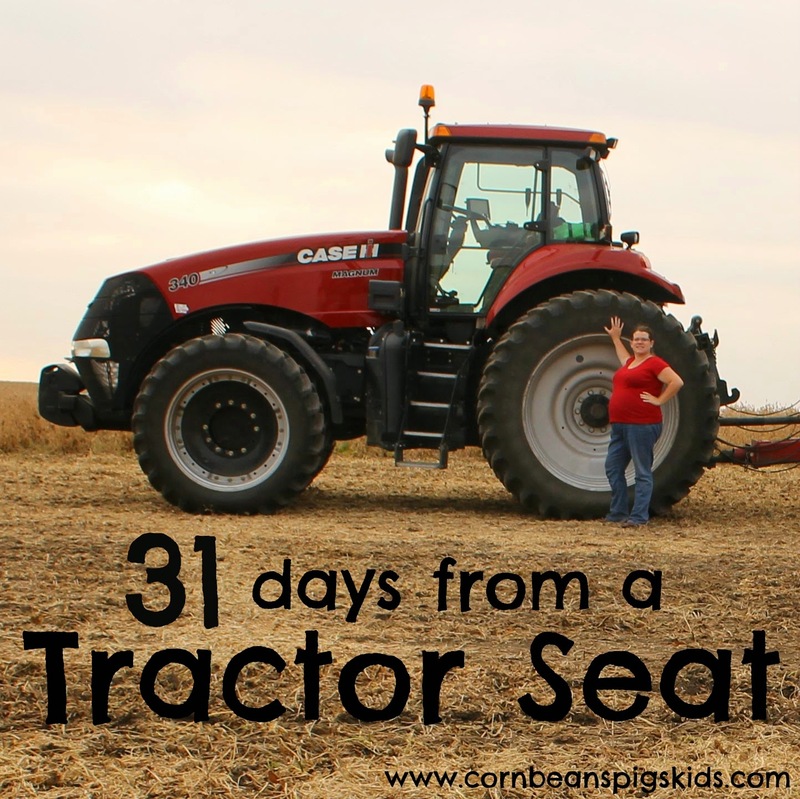 What better way to start off my 31 Days From A Tractor Seat series than to give you a little background of our family farm! My Farmer and I farm in North Central Iowa (where the land is flat and the dirt is black) where we raise, as my blog title shares - corn, (soy)beans, pigs and kids. We primarily rent fields from landlords that we rotate corn and soybeans on from year to year and we own two hog barns that we raise pigs in for my Father-in-law. Speaking of my Father-in-law, he is an important part to our family farm. We share equipment and labor with him when it comes to our cropland and pigs. Our partnership really has helped My Farmer and I get started and establish ourselves in farming. It is a privilege to have three generations working together on our family farm. My Farmer and I are proud to be 5th generation farmers and we work hard every day so our kids can be the 6th. I think it is really neat that the business of farming is so family focused. The truth is our family is not the only ones who have made farming a family tradition. In the United States 98% of all farms are family-owned. So why do families make farming their heritage? Farmers pride themselves on putting food on the table and preserving the land. Through these goals, generations have learned a powerful work ethic and respect. Because of this, the next generation feels a purpose to engage in farming and continue their family’s farming legacy. Both my husband and I have always wanted to farm since we were little kids. We are both so proud of farming today and feel fortunate to be doing so. I can already see this sense of purpose to farm with our 3 year old son LP and 16 month old daughter MP. They love helping on the farm! 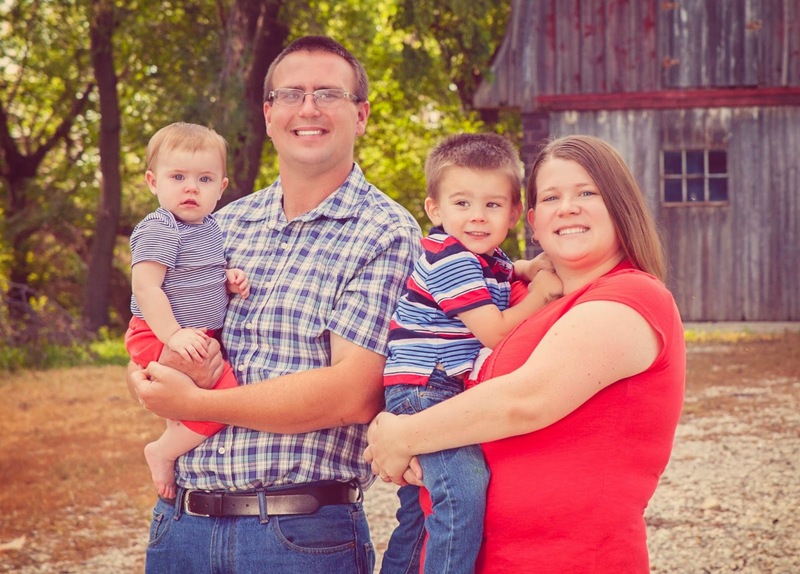 What questions do you have about being a FAMILY farm? If you are interested in learning about some of my family's farming heritage check out my Farming - A Family Tradition post. Remember to Comment for a Cause! I can't believe LP isn't wearing his red boots in the hog photo! He loves to wear those boots! He does love his red boots! Great post and I have 29 more to enjoy!! Can't wait till this weekend and is it bad of me to wish that it is too wet in the fields so I can see you?? Yes it is, but it keeps looking more and more that your wish will be coming true. Thanks Dan. Even though technology has changed, the joys of farm life are still alive and well! When is the best time for your family to vacation? Maybe the winter since the fields are "resting"? The best time to get away is usually late summer before harvest starts and winter when we are making decisions for our cropland. But because of our hogs, no matter when we leave we have to find someone to take care and be on call for our hogs. That is another nice thing about partnering with my Father-in-law. We coordinate our getaways so both of us are never gone at the same time so someone is always able to do chores! What a refreshing post! It seems like just about everything I read about farms these days is depressing because corporations are making it so hard on farmers. But, seeing you and your family making it with those engaging smiles on your faces was a breath of fresh air! Some people still work hard to put bread on the table!